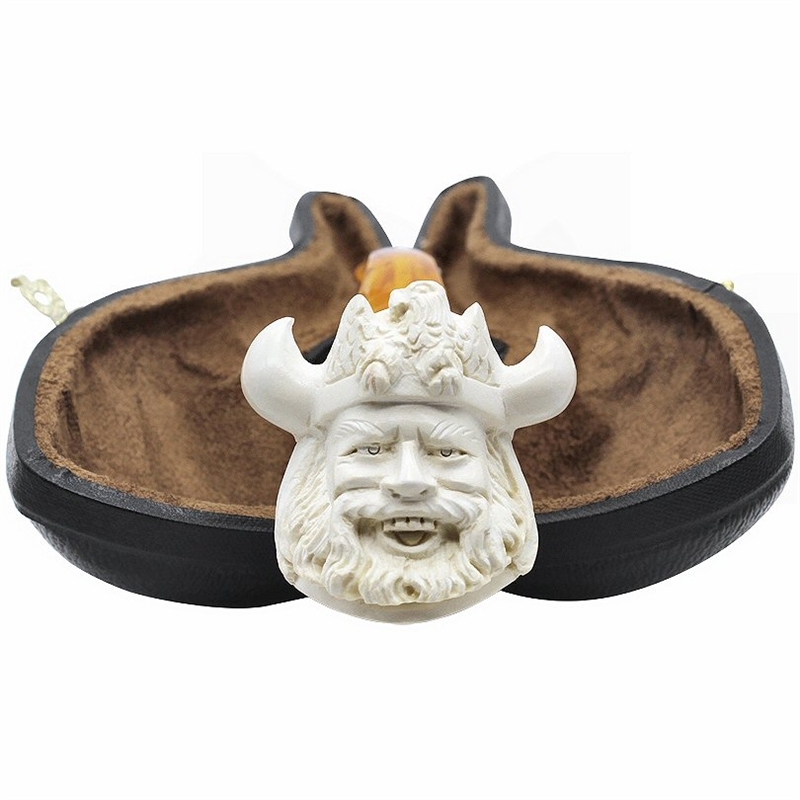 Hand Carved Viking with Designer Stem Meerschaum Pipe - A laughing bearded Viking is wearing a horned helmet with a flying eagle on the front. 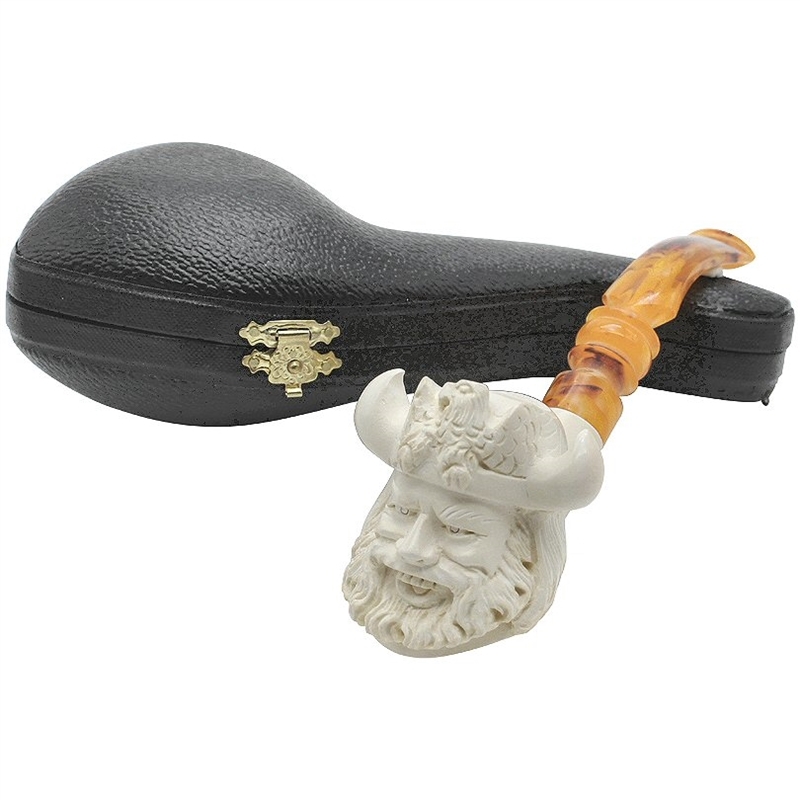 The smooth shank attaches to an amber colored bent designer stem. Nice carving and featherweight light!